I put up my hand, and I am assured that I can get a ride next month on an Oracle Racing catamaran on San Francisco Bay. Now I wonder, how many pages is the release form? 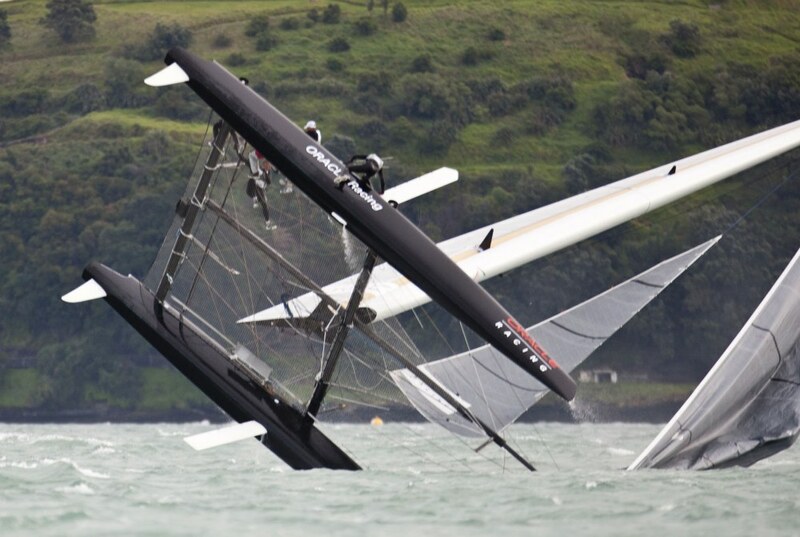 While Artemis and China Team are off to Valencia to train, pending World Series action in Portugal, and Team New Zealand hangs in Auckland, Oracle Racing is ready to run its show through windy, whitecapped, nasty-tasting, glorious San Francisco Bay. I am so up for this. Then a different lobe of my brain remembers that Spithill, Kostecki and company have already demonstrated what happens when you auger-in . . . The longest-serving Olympic sailing class, the Star, is put out in the year of the Star’s centennial anniversary (put out of the 2016 event, but still in the roster for 2012) and most people seem to think that’s a move forward. Maybe. But no other class has done so much for so long to define the high end of sailing competition. And you can’t tell me the Olympic “equipment” selection makes sense when ISAF has just allowed a face-off between windsurfers and kites, either-or. But, cats, welcome back. “Interesting times” for that YC I pay dues to, where we recently cranked up a focus on junior windsurfing, and kites are pretty big too. The Lake Geneva event for the Vulcain Trophy was sailed in D35 catamarans with hiking racks, a la 18-foot skiffs . . .
And this shot reminds me of the time (a young Cayard was there) when the Six Meter class went to Lake Geneva for a world championship, then left without ever sailing a race . . .